Those who proclaim messages of supreme importance are called archangels. Saint Raphael is one of seven Archangels who stand before the throne of Our Lord. The Archangel Raphael’s feast day is September 29, and he is the patron of travelers. Meaning “God Heals”, the name Raphael is a rousing reminder of God’s faithfulness and power. 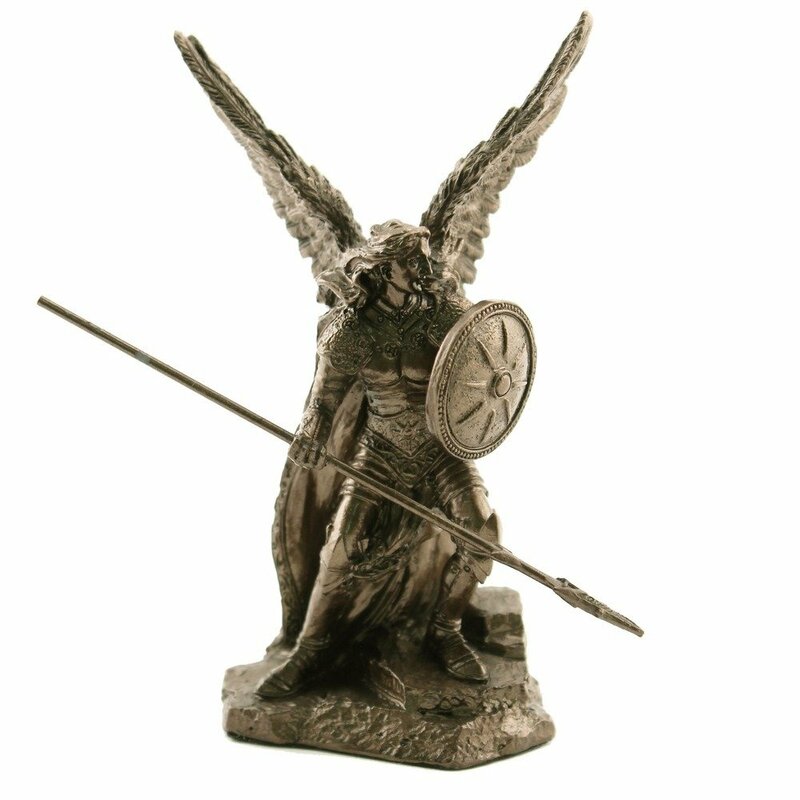 This 4” intricately crafted and solidly created statue is impeccably antiqued and can be displayed inside or outside.